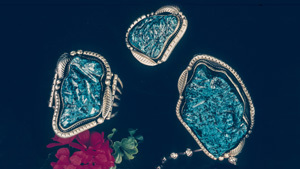 Excellent-quality turquoise is sought after by designers around the world. 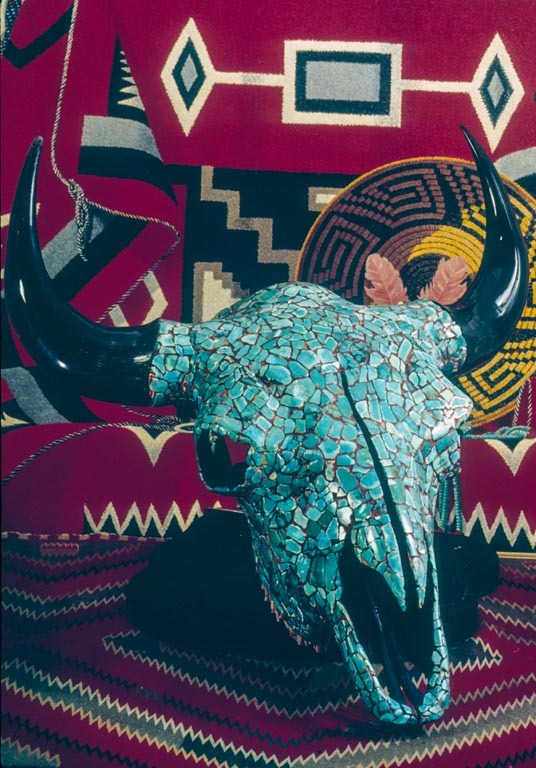 Typically, turquoise is judged on three basic qualities—its color, its texture, and the presence or absence of matrix. Use your zip code to find a jeweler near you with GIA reports and GIA-trained staff. The most prized turquoise color is an even, intense, medium blue. But some consumers prefer a greenish blue, and some contemporary designers actively seek avocado and lime green turquoise. Turquoise ranges from blue to green. Generally pure saturated blue shades are the most valuable. 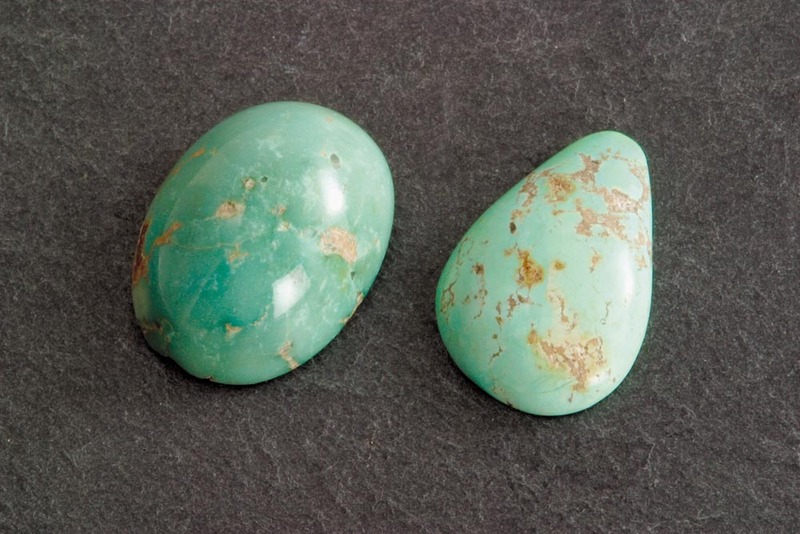 Turquoise is semi-translucent to opaque, usually light to medium blue or greenish blue. It might have veins of matrix running through it (matrix is a remnant of its surrounding rock). Spiderweb turquoise contains fine seams of matrix that form attractive web-like patterns. 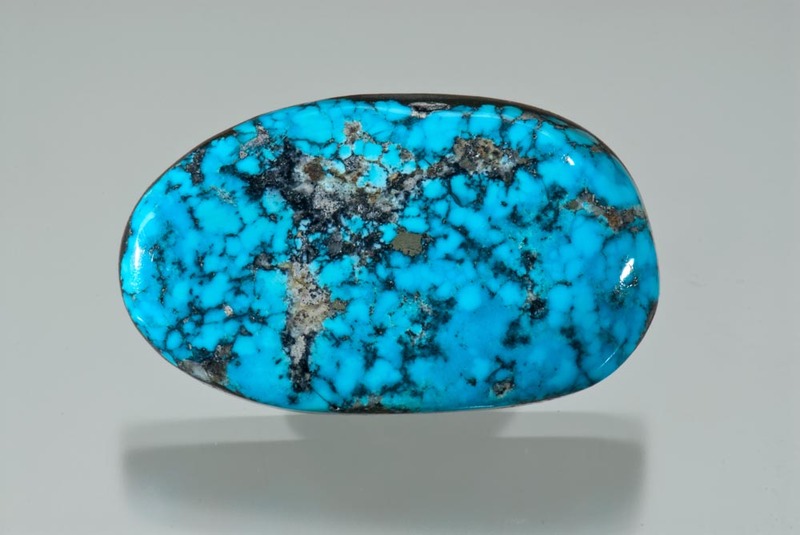 Turquoise is often fashioned as a cabochon. 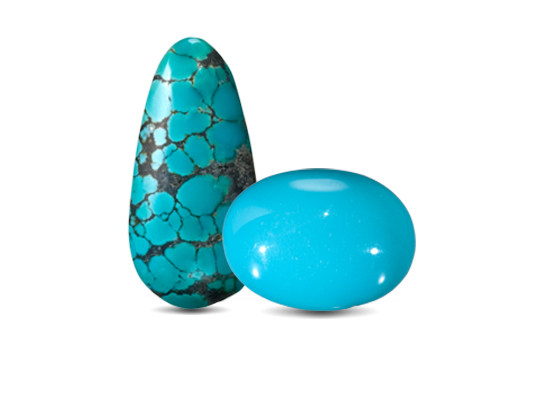 The dome shape sets off turquoise’s color, texture, and any matrix beautifully. 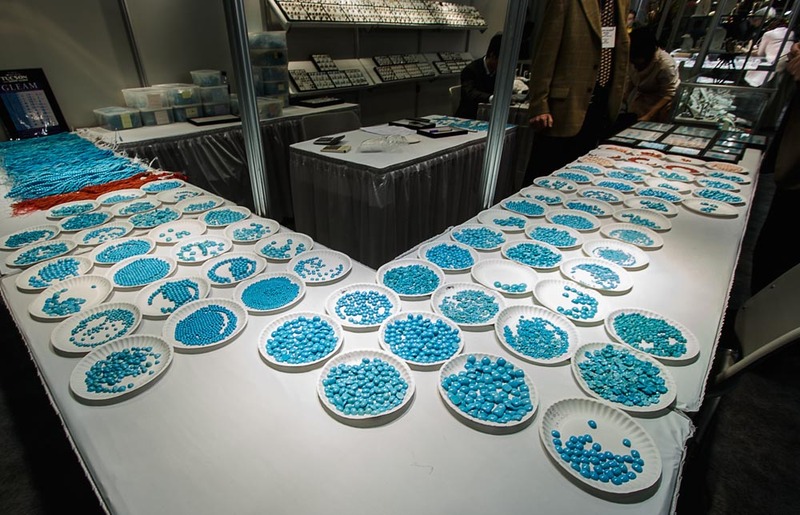 In addition, manufacturers and artisans fashion turquoise rough into beads for strand necklaces, and into small, flat pieces that are popular in jewelry inlays. 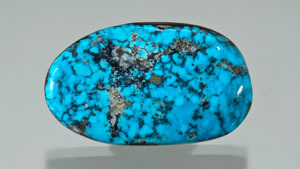 Turquoise is available in a wide range of sizes, although large pieces of turquoise without any visible matrix are rare. All sizes are used in Native American jewelry. Large sizes have been popular for carvings. For any size, the quality and evenness of the color is the overriding value factor. 1. Buy from a jeweler you trust. 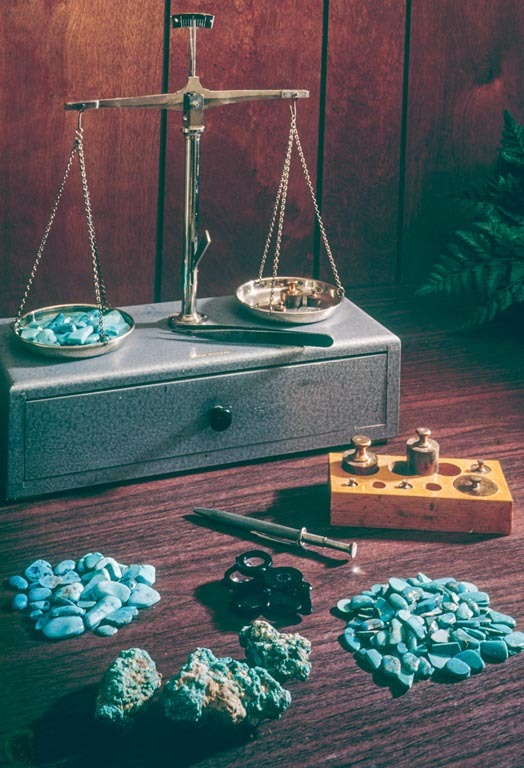 Turquoise is commonly treated to improve its stability and color. If you are looking for turquoise that has not been treated in any way, make sure your jeweler has the gemological expertise and knowledge. 2. Protect turquoise from chemicals and cosmetics. 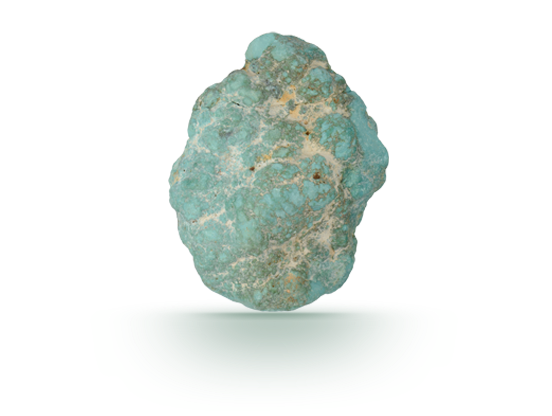 Natural turquoise can absorb things like cleaning products, perfume, or metal polish, which may affect its color. Remove turquoise jewelry when cleaning and applying products to your skin and put your turquoise on after using cosmetics and lotion. 3. 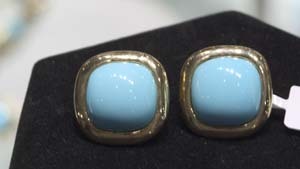 Turquoise might gradually darken as it’s worn. 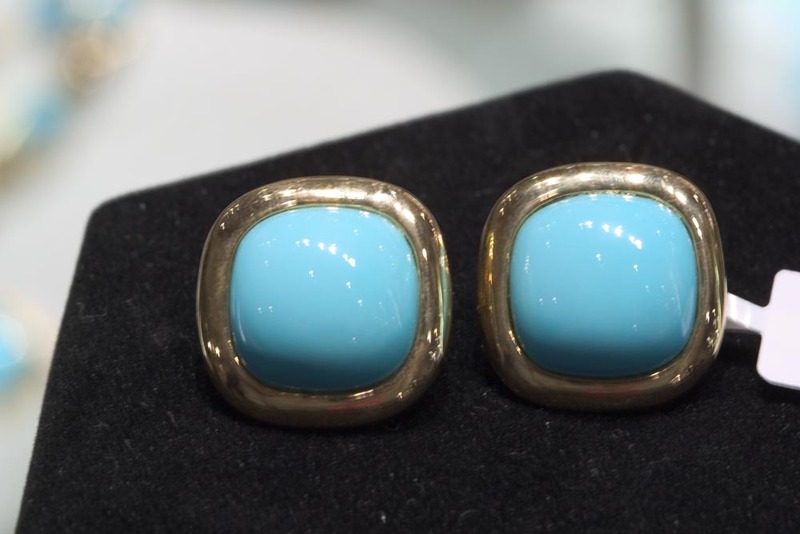 Because most turquoise is porous, it can absorb skin oil. Beads and rings that touch the skin can gradually darken as they absorb natural skin oils. 4. 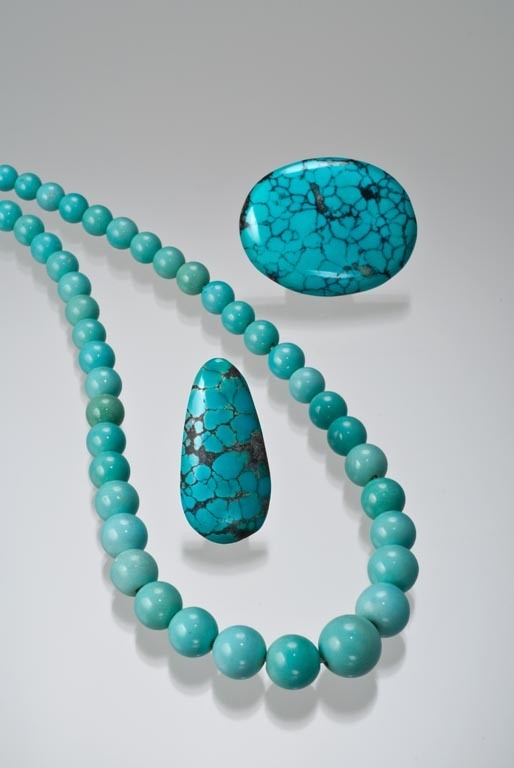 Fine quality turquoise has long-lasting beauty. 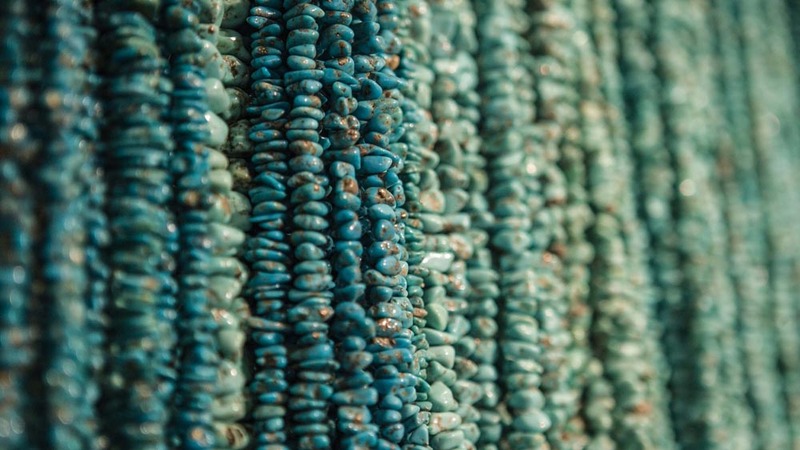 The best quality turquoise is harder and more durable. 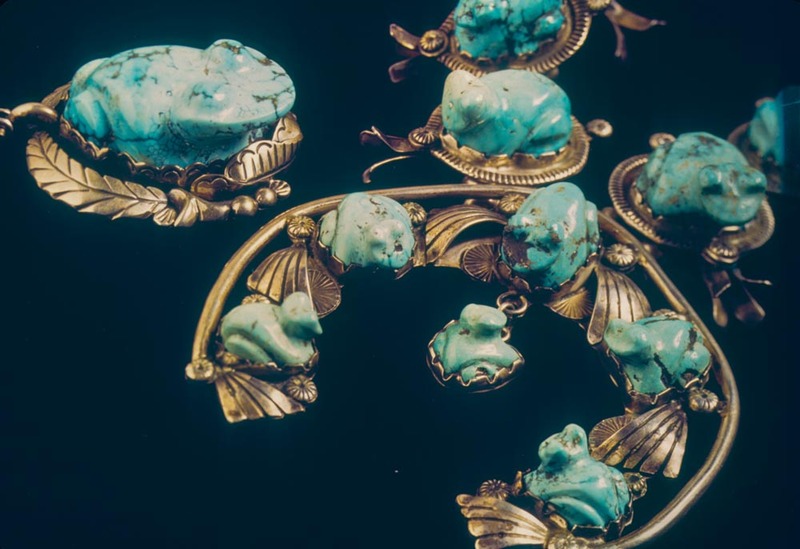 Turquoise jewelry has been found that is thousands of years old and still bright and beautiful. Are dark veins in turquoise good or bad? 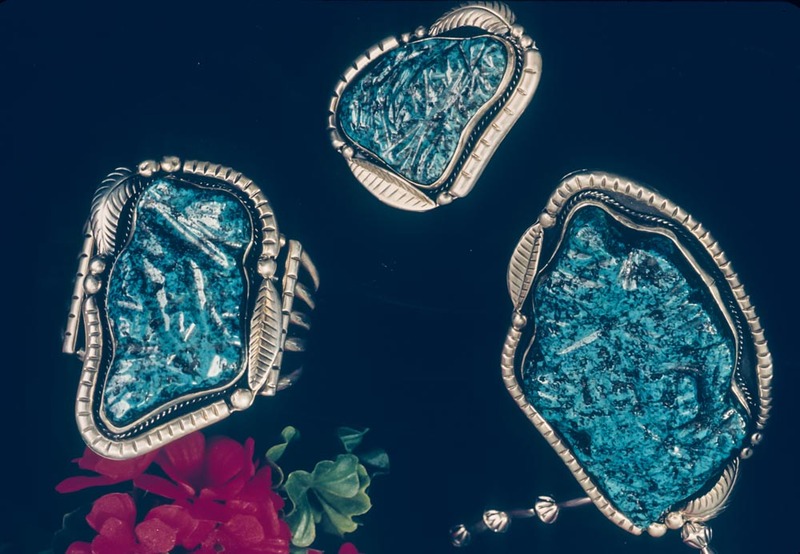 Although demand for turquoise with fine color and no visible inclusions is consistent worldwide, some collectors prefer the look of turquoise with spiderweb patterns of matrix. Black colored matrix is usually most preferred for contrast but matrix can also be brown, yellow, and other colors. Does it matter if turquoise is blue or green? In general, turquoise with a robin’s egg blue color is preferred. Unusual colors like yellow green and pure green are in demand for use in inlay jewelry. Is Persian turquoise more valuable? 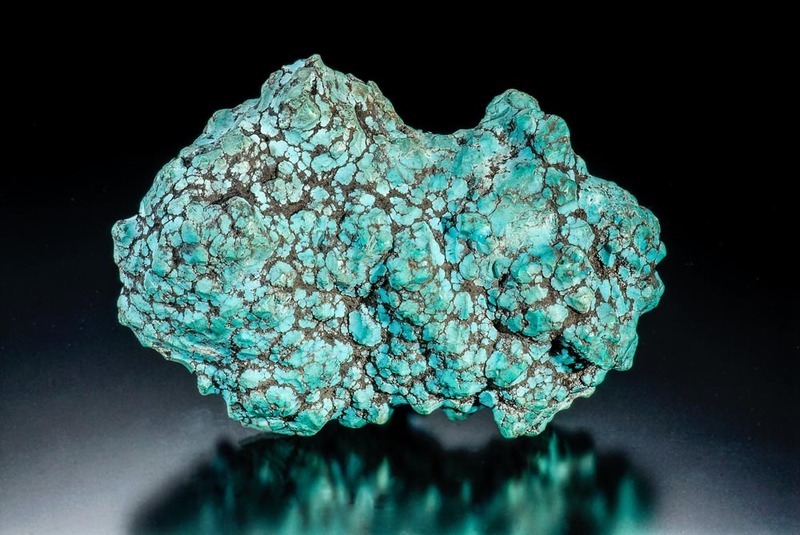 Fine quality turquoise from a known origin like Iran or famous mines like Sleeping Beauty can command a small premium from collectors, but pricing is primarily based on quality, not geographic origin. Why are there such large price differences for turquoise that looks similar? 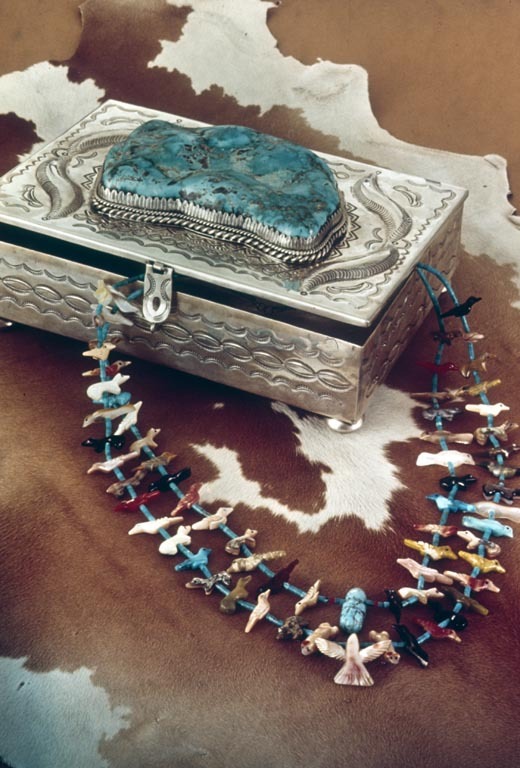 Lower quality turquoise is softer and more porous and is often treated to make it durable enough to wear. 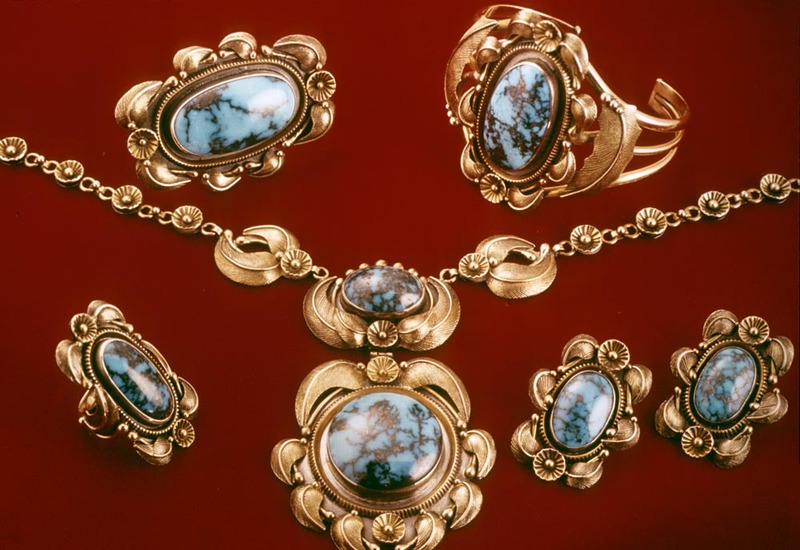 Fine turquoise is naturally beautiful: because it is rare and in demand it is more valuable. Keep your turquoise beautiful by following simple care and cleaning guidelines. 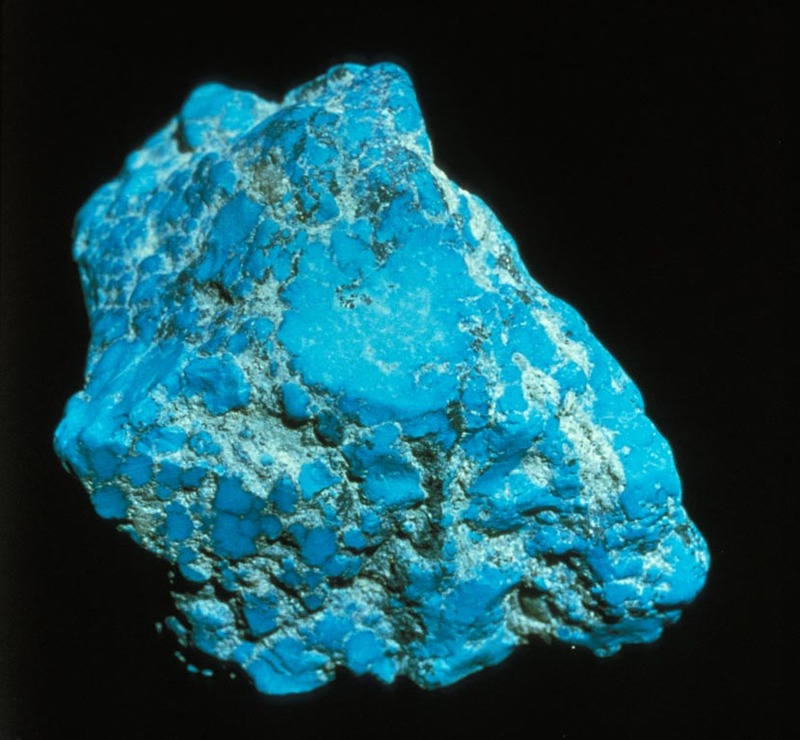 Turquoise can be discolored by high heat, chemicals, cosmetics, and even skin oils or perspiration. 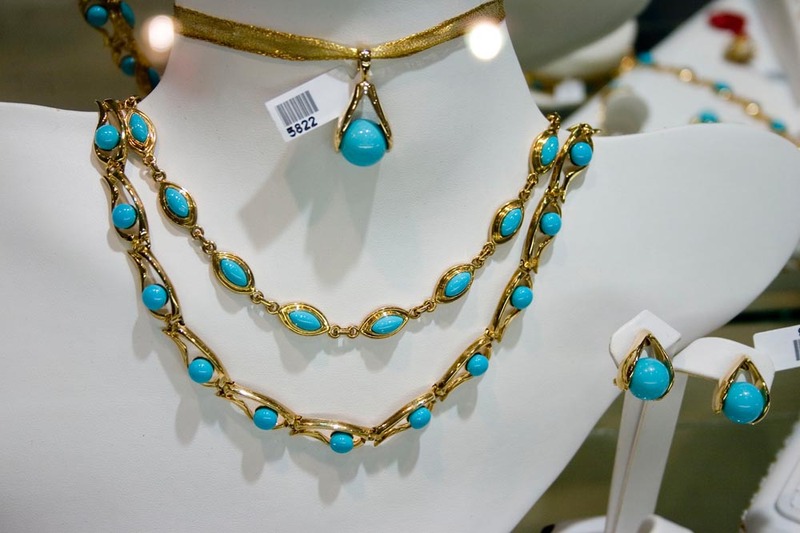 Clean turquoise jewelry with warm, soapy water, never with steam or ultrasonic cleaners. 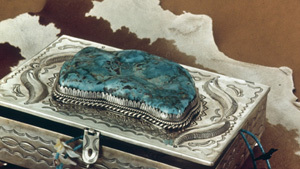 Some turquoise is treated to improve its appearance. Heat or solvents can damage its surface.